Geneva College′s McCartney Library has added 20 new Chromebooks to its electronic resources for students and other patrons, doubling the number of available computers. The Chromebooks were obtained through a grant written by Assistant Professor and Reference-Instruction Librarian Kyle Breneman, along with Major Gifts Officer Janet Barlett. The computers will be used for student instruction and made available to those with a library card beginning in the fall semester. "These devices expand the options for library guests," noted Breneman. "They are great for checking email or surfing the Web while in the library. In addition, students can check out a Chromebook to use for taking notes or other tasks in class." 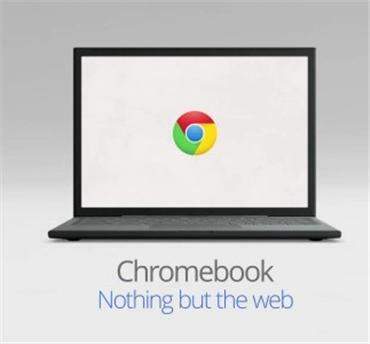 Chromebooks are designed to be used while connected to the Internet and support applications that reside on the Web. Users are able to login with an existing Google account, which provides access to email, documents other resources associated with the account. Breneman selected the Chromebook because it "represented the best solution for instruction, productivity in the classroom and is the most cost-effective solution for a device with a keyboard." In addition, the devices are light, portable and demonstrate an extremely quick start-up time. Patrons will be able to check out a Chromebook for up to seven hours. The device must be returned before the library closes on the day it was checked out. Geneva College invites students to accept the challenge of an academically excellent, Christ-centered education. Offering nearly 40 undergraduate majors, Adult Degree Programs with fully online and campus-based options, and seven graduate degrees, Geneva has programs that place students at the forefront of higher learning. Adhering to the inerrancy of Scripture, a Geneva education is grounded in God′s word as well as in a core curriculum designed to prepare students vocationally to think, write and communicate well in today′s world.